Award winner Clinton Batten and CBD Refrigeration proprietor Ian Wooten. The awards were presented to students who achieved high standards in airconditioning and refrigeration training. Mr Batten, who attended Wanneroo Secondary College, took out the award for most deserving student in the first year of apprentice training. He said it had felt �pretty good� to win. �I�m in my second year now. The award was for last year,� he said. �It�s really good � everything�s sort of clicked and everything�s going really well with it and I understand it all. I really enjoy the trade in general. Polytechnic West applied engineering executive director Jonathon Maile said the winning students were to be commended for their hard work, outstanding performance and top class skills. 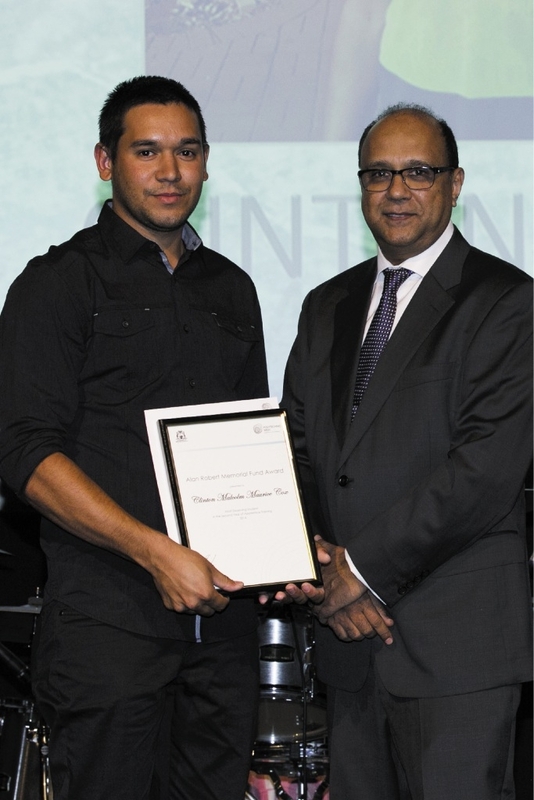 �Polytechnic West is the premier provider of refrigeration and airconditioning training in WA and as such, when we have an award evening, we join with the industry in celebrating the students� achievements,� he said.